From unexpected beauty in the big city to the dramatic scenery of The Highlands, discover the best places for autumn getaways in the UK. Read on to learn how you could win a Reward Rental Day voucher from Hertz. When talking about autumn excursions, you probably wouldn’t think this urban landscape would be on the list. 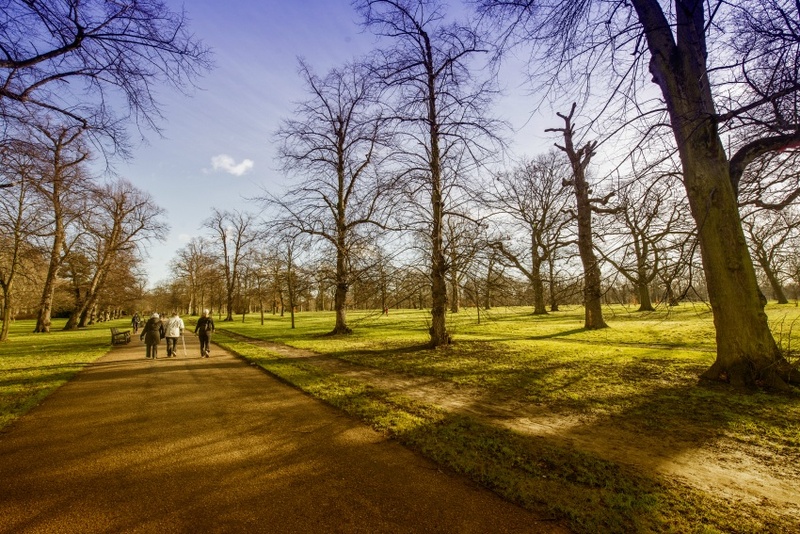 Hyde Park features over 4,000 trees on 350 acres, perfect for visitors looking for nature in this big city. Take a break from London’s hustle and bustle by enjoying the golden and coppery colours of autumn in London’s park retreat. 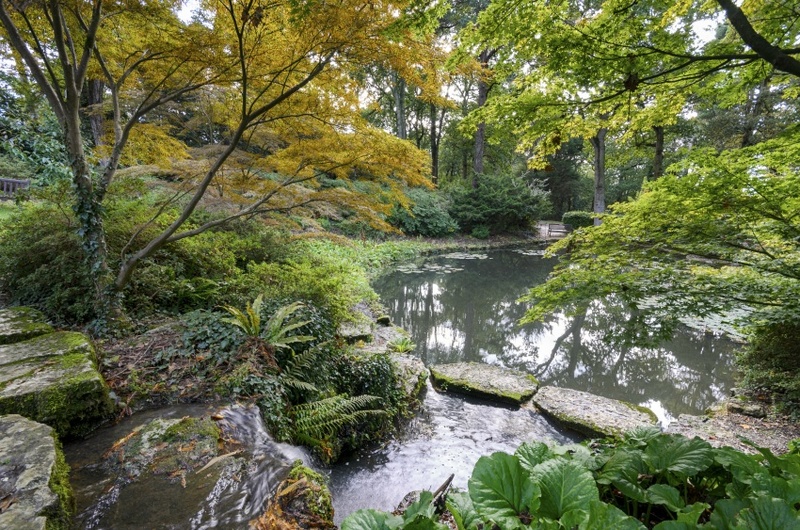 Exbury Gardens is a National Collection Holder for two of the world’s most colourful types of tree, the Nyassa and the Oxydendrum. Both of which fully come to life in the peak weeks of autumn — late September to October. Visitors can explore the beautiful landscape brimming with deep, rich colours as well as try to spot the park’s most famous residents—the New Forest ponies! Cumbria is known for its many lakes surrounded by strong golds, reds and yellows on the hills this time of year. This stunning autumn destination is also one of the UK’s most visited regions with five million visitors taking in the scenery every year. We assume the vivid colours, beautiful woodland areas and exceptional mountain views have something to do with it. Located deep in the Scottish Highlands, this small village is known for its spectacular scenery, including dazzling mountains, tranquil waters and an array of autumnal colours. 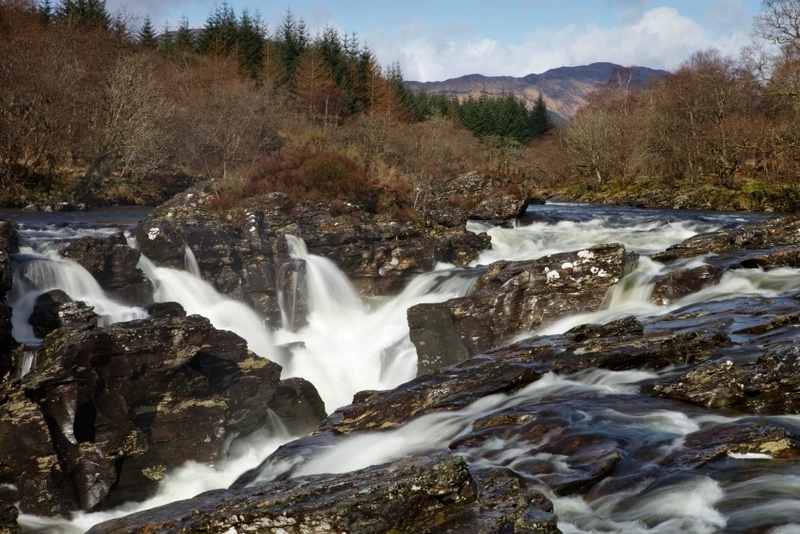 No wonder everyone from thrill-seeking white-water rafters to those looking for a slower pace of life seek out the Bridge of Orchy. 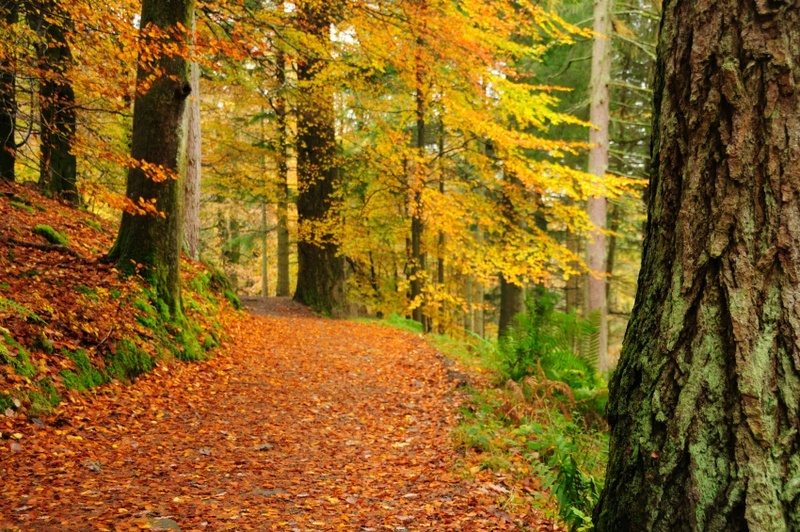 With a nickname like Big Tree County it is no wonder Perthshire is a popular autumn destination. 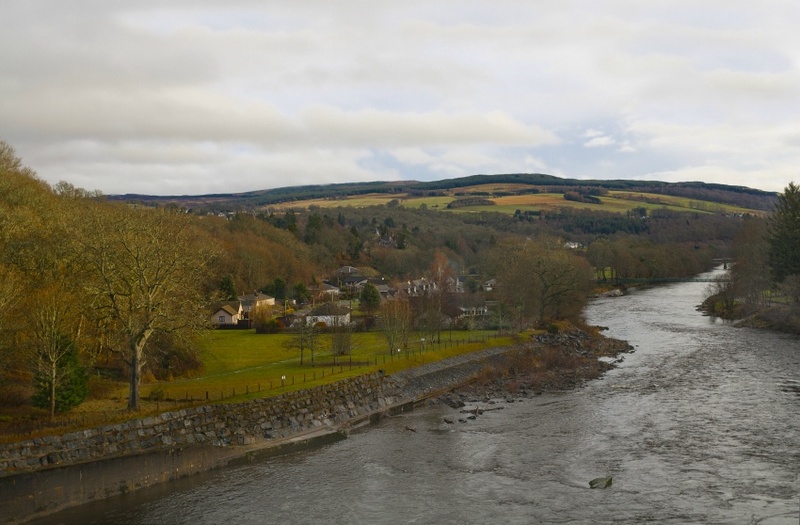 Known for its natural beauty, Perthshire is ideal for walking, hiking and photography. The gold and copper tree-filled hillsides, as well as the jaw-dropping views, make Perthshire the perfect photography subject. Now it’s time for you to explore these landscapes! What would be your favourite destination for an autumn getaway in the UK? The competition runs from 22nd September and continues until 19th October, running across the UK, France, Germany, Italy, Spain and The Netherlands. We’ll announce the six individual winners on our social accounts on the 20th October! See below for full Terms and Conditions. The competition is available to residents of UK, France, Germany, The Netherlands, Spain and Italy, over the age of 21 and to people in no way affiliated with the Hertz brand or their partner brands and companies. The competition runs from 22nd September 2016 until the 19th October 2016. Entrants must comment on the relevant Hertz Drives Facebook post, or reply to the relevant Hertz Drives Twitter post sharing their favourite destination of the options shared, using the hashtag #HertzDrives. Valid entries will only be accepted through one of the following Hertz profile pages: Facebook or Twitter. Entry is only eligible through Facebook and Twitter. The Prize draw takes place on the 20th October 2016 and Hertz will make all reasonable attempts to contact the winner. If the winner does not confirm prize acceptance after three (3) days, or if there is insufficient information supplied to contact the winner, the prize will be forfeited. The prize is a voucher to redeem for one day of car rental with Hertz. There will be one winner in each market (UK, France, Germany, The Netherlands, Spain and Italy), six individual total winners. The six individual winners will be announced on the Hertz Facebook and Twitter pages (on all six territories) and each individual’s winning comment will be replied to. The voucher includes the base rental rate, Collision Damage Waiver, Theft Protection and Unlimited Mileage for a day’s rental. Voucher applies to Compact car groups and above on Hertz’ Daily and Weekly Inclusive’ non prepaid retail rates for rentals of two days or more. Reservations must be made at least 24 hours in advance. Voucher can be used at participating locations in Europe, the USA and Canada and may not apply to domestic rentals in certain countries. Full T&Cs will be displayed on the voucher. In unforeseen circumstances beyond reasonable control, Hertz reserves the right to substitute the prize with an equal or higher value replacement without prior warning. Hertz does not take responsibility if your preferred dates of hire are unavailable, or cover any further costs towards car hire or related outgoings (e.g. fuel costs, travel to the hire location or any other costs incurred while travelling). Additional insurance or ‘add-ons’ to your hire or your trip are not included in the prize package. Hertz does not take responsibility for incomplete, lost or delayed entries. Entries deemed to be false, created by a third party or generated by a computer will not be accepted. The decision of Hertz is final in this matter. The decision of Hertz in regards to all competition entries and the final winners is final and no correspondence will be entered into. No cash alternative is offered and the prize cannot be sold, exchanged or transferred. The prize cannot be used in conjunction with any other offer or promotion. The promotion is in no way sponsored, endorsed, administered by, or associated withFacebook and Twitter. By submitting an entry in this competition, you agree to be bound by these terms.